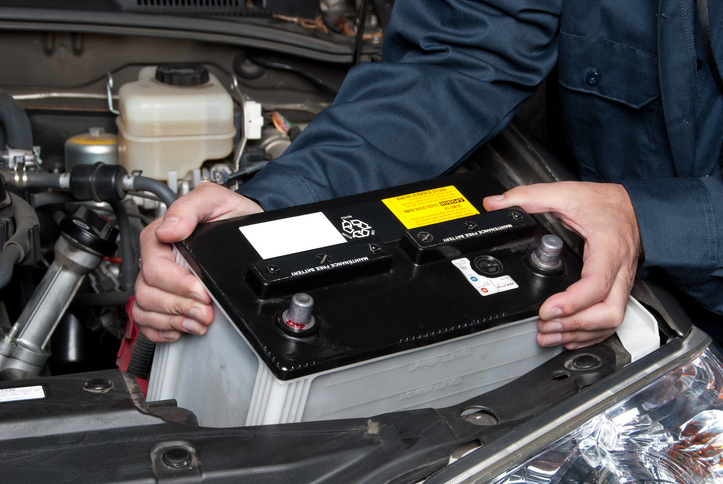 When your vehicles are out and about during the winter, one of the worst things that can happen is a dead battery. Cold weather can take a massive toll on your vehicle fleet’s batteries. Car engines require energy and power in the form of heat to kick-start. As you can imagine, to compensate for the cold, much more power is required during the winter. This requirement for extra power makes a battery work much harder and can drastically shorten its lifespan. This makes the care of all your vehicles’ batteries during the winter even more important. If you want to ensure your battery will last the winter without letting you down, follow these tips. You don’t want to be stuck on the side of the road when you realize your battery was on its last legs. Before the temperature starts really dropping and snow starts falling, be sure to get your battery checked out, especially if you know it is 3 or 4 years old. Raben Tire can perform a battery test to check your battery’s life. If the test reveals that your battery is getting close to the end of its life, we can quickly and easily install a new one so you can hit the road with confidence when the really bad weather rolls in. Radio, phone chargers, GPS and other devices used in your vehicle draw their power from the battery. Normally, this isn’t much of an issue when the battery is working under normal conditions. However, during the winter, when your battery has to work harder than usual, these devices can cause additional strain. Even with the temperature at a “balmy” 32 degrees, a car battery can be 35% weaker than normal. In the interest of taking as much burden off your battery as possible, try to limit you power usage as much as possible. Be a safe and prepared winter driver by having all your personal and fleet vehicles inspected and taken care of by Raben Tire. Through February, get up to a $20 VISA prepaid card on qualifying NAPA batteries at Raben.